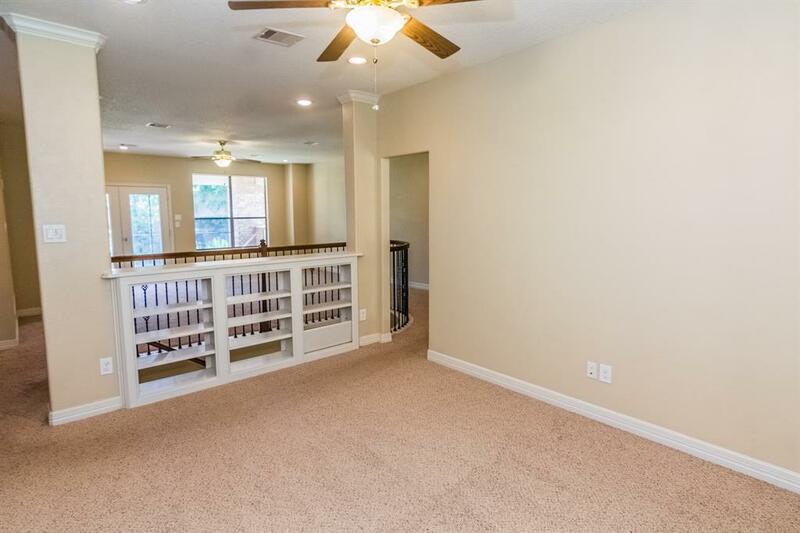 NO FLOODING AT ALL! 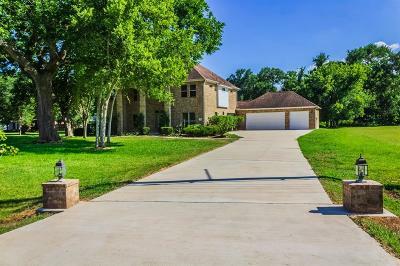 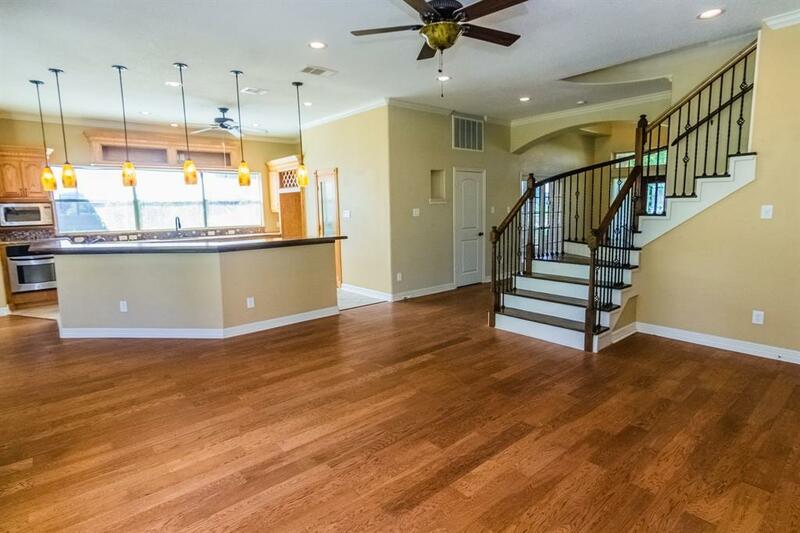 10 years young and gorgeous custom home in Weston Lakes Golf Course Community. 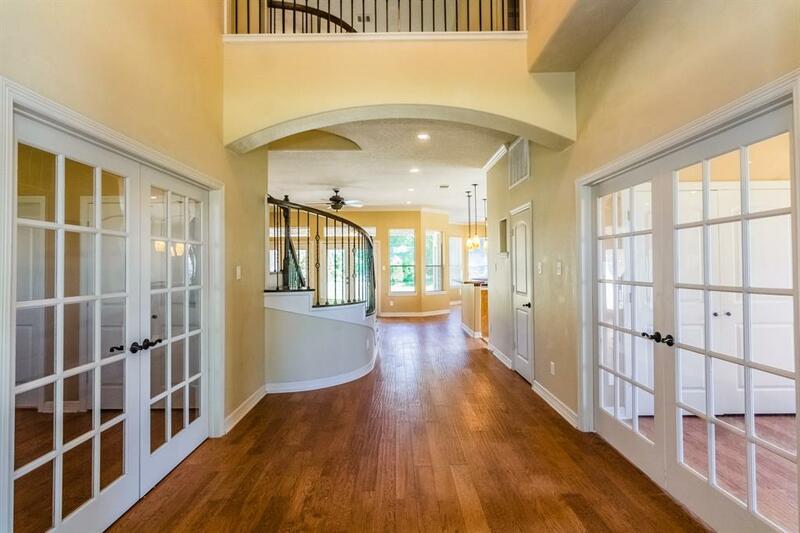 Stunning architecture & finishes at every turn. 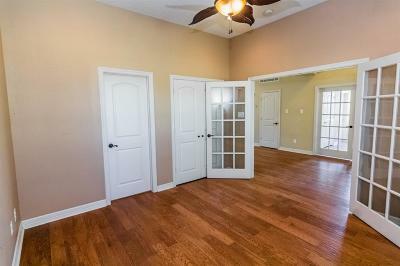 The study & dining rooms are located at the front of the home & have french door access giving both rooms an open & inviting feeling. 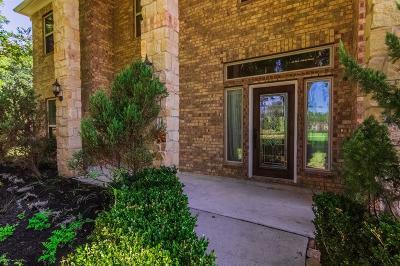 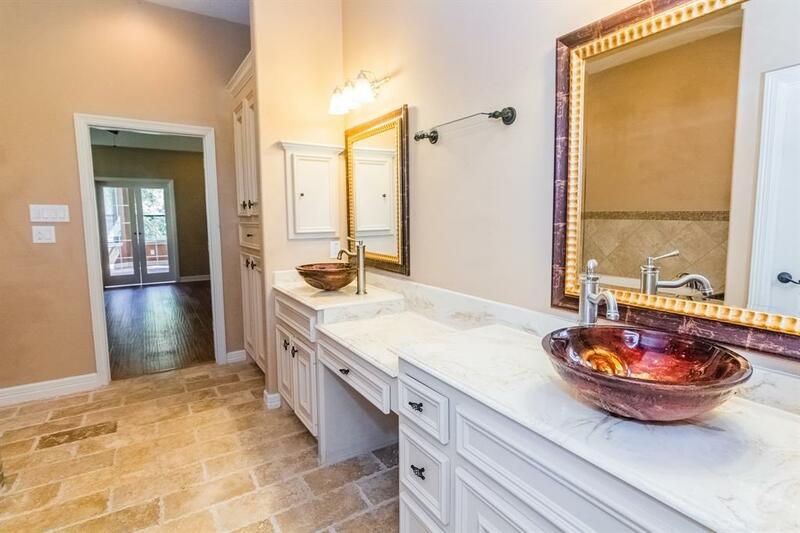 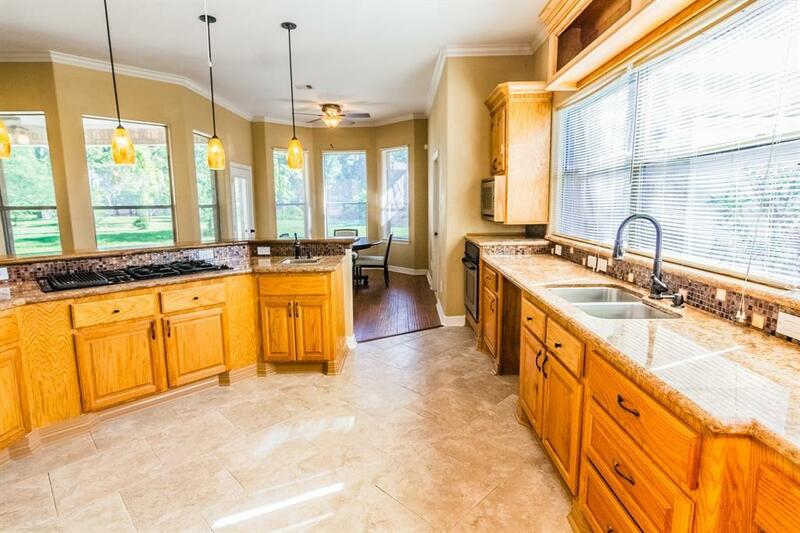 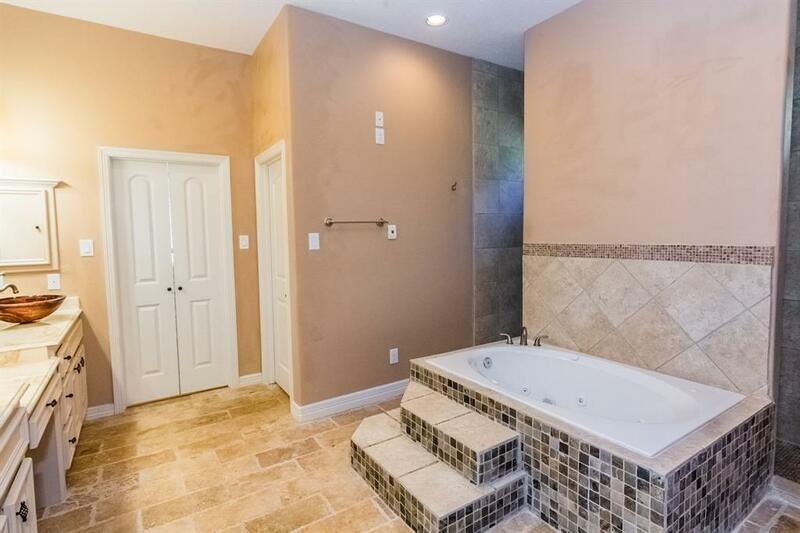 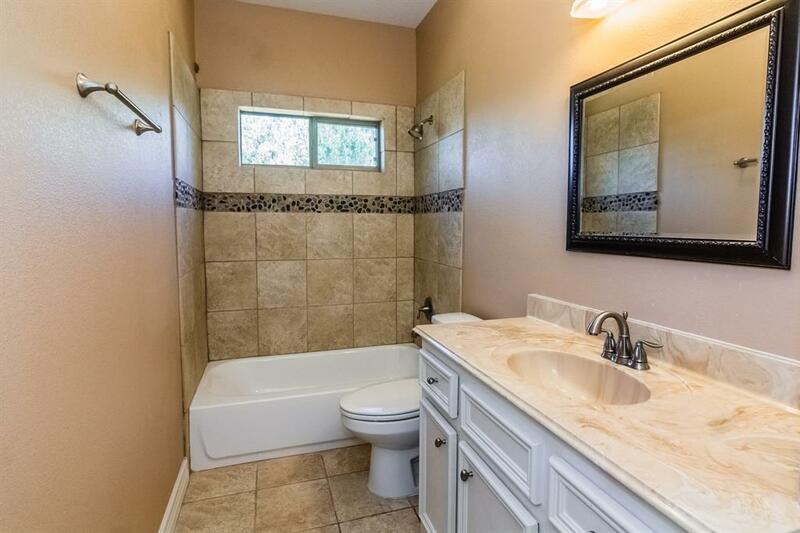 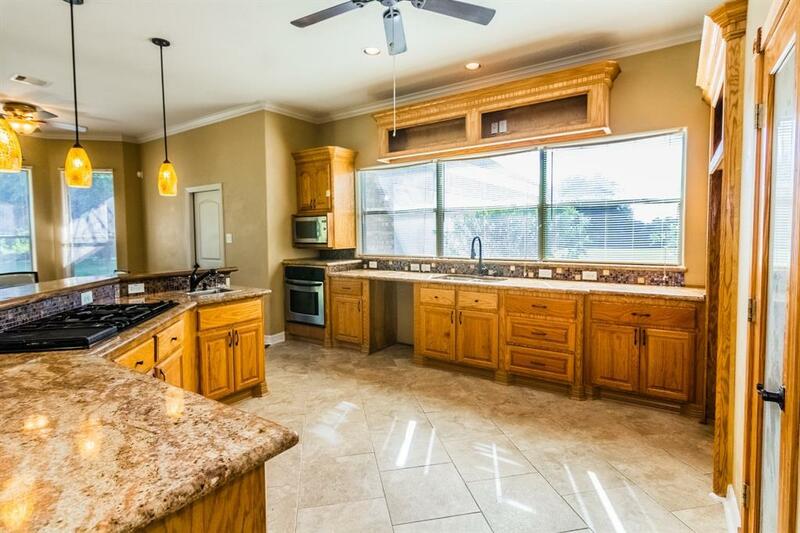 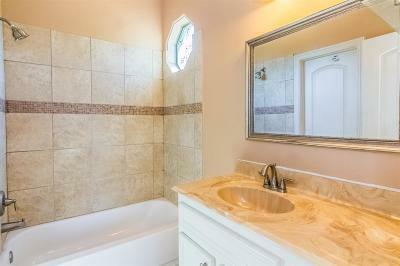 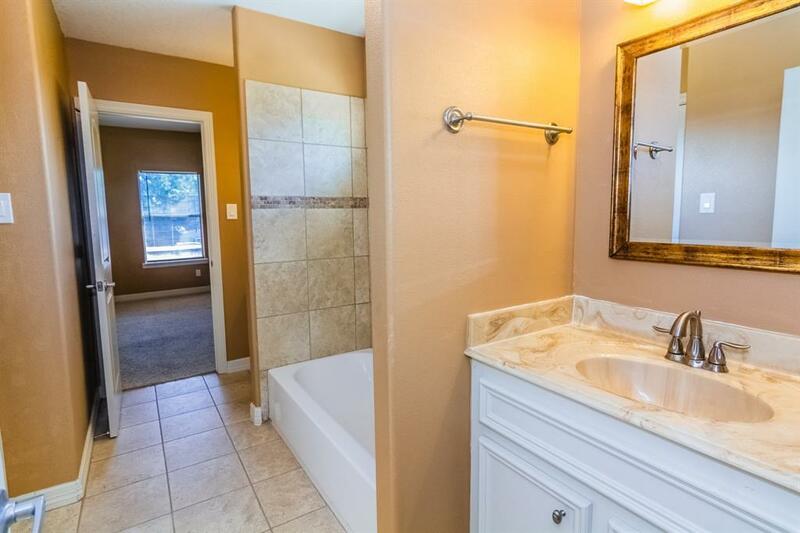 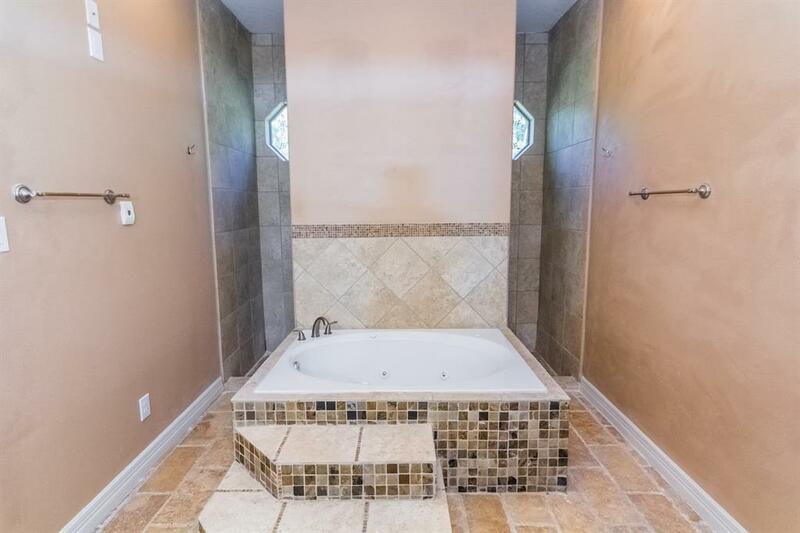 Custom cabinets & built-ins throughout the home as well as beautiful hardwood floors, granite countertops. 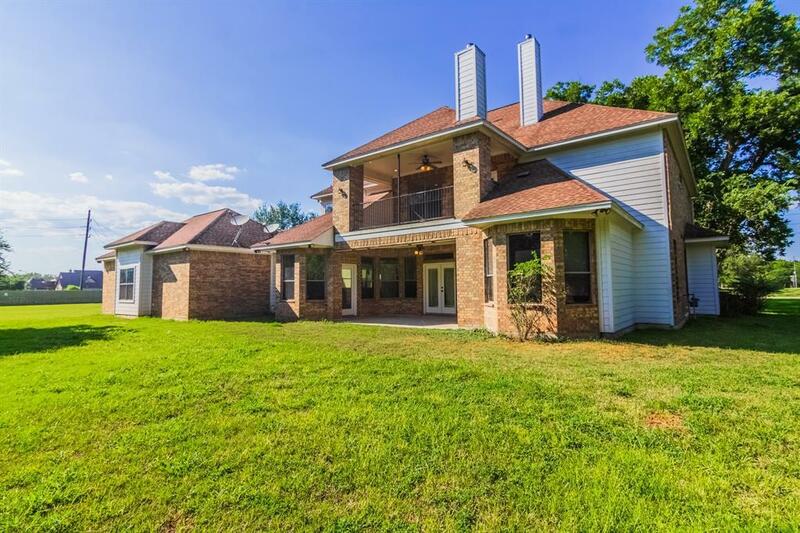 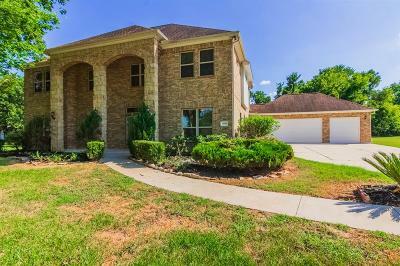 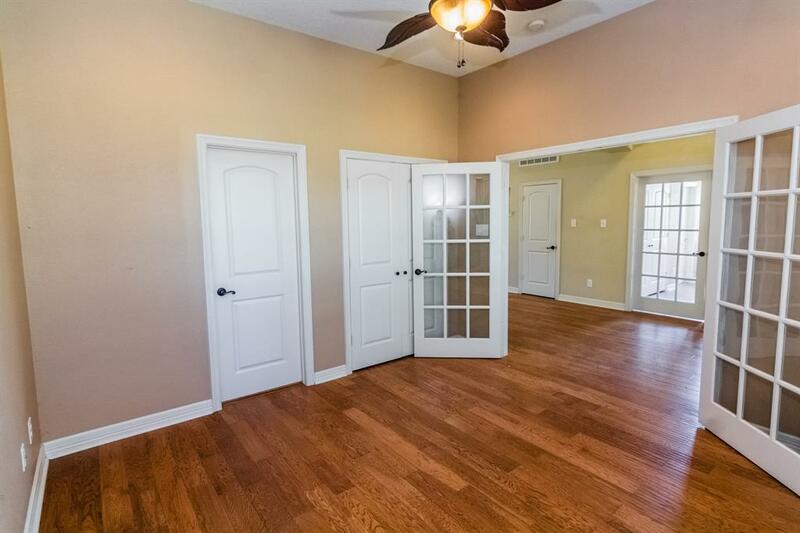 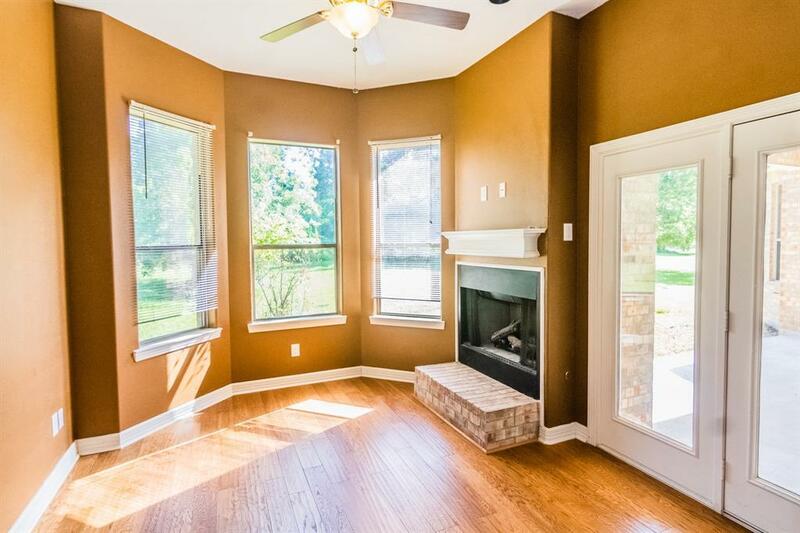 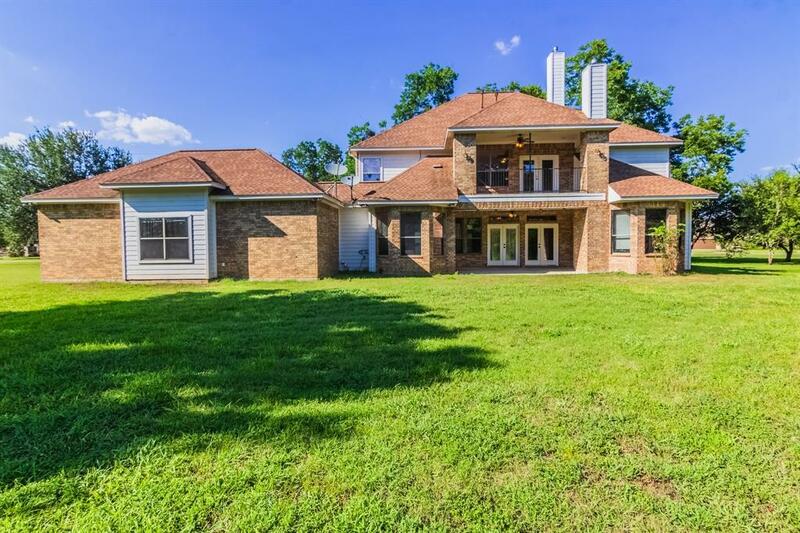 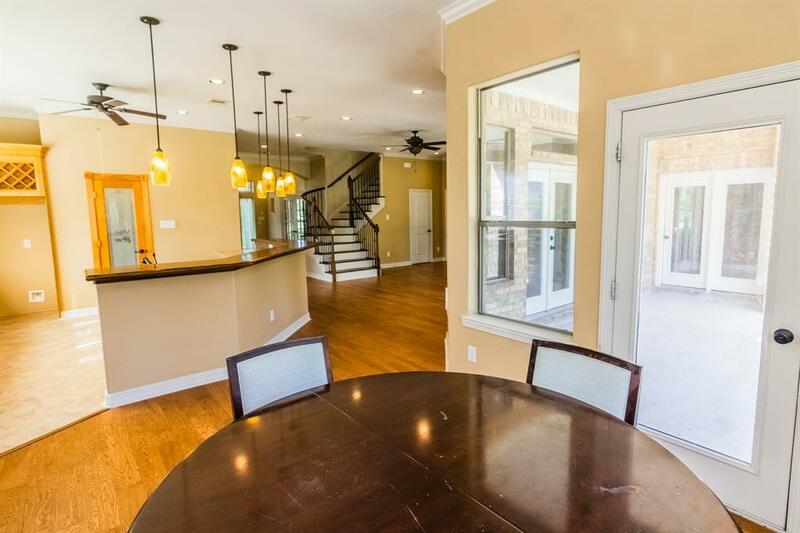 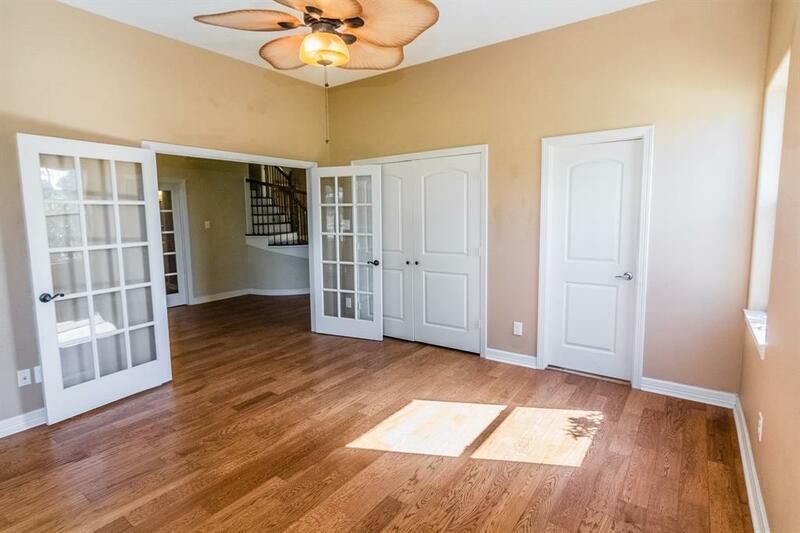 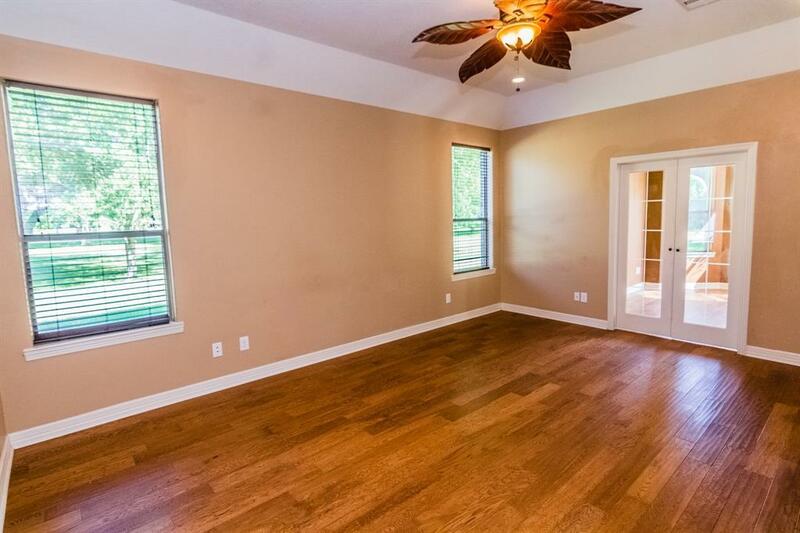 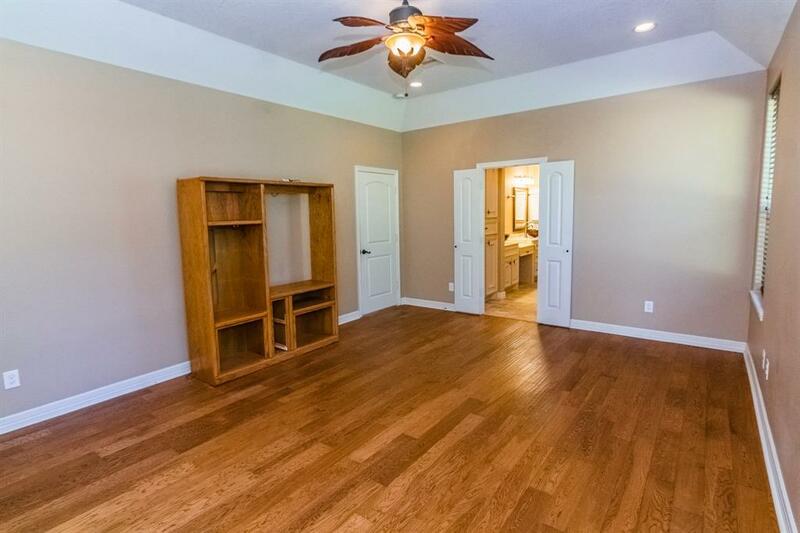 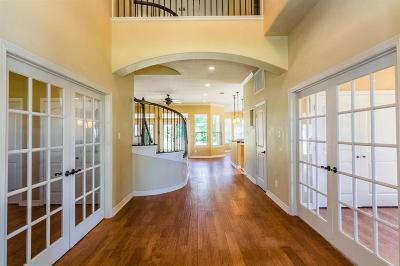 Open & spacious floor plan makes this home perfect for entertaining friends & family. 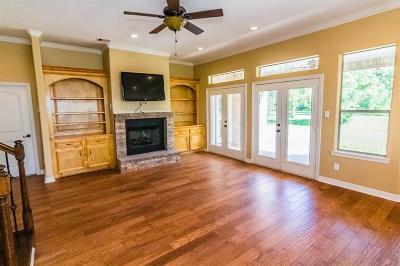 The large master with a sitting room & en suite bathroom and fireplace is the perfect place to recharge after a long day. 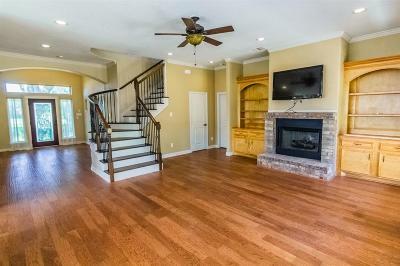 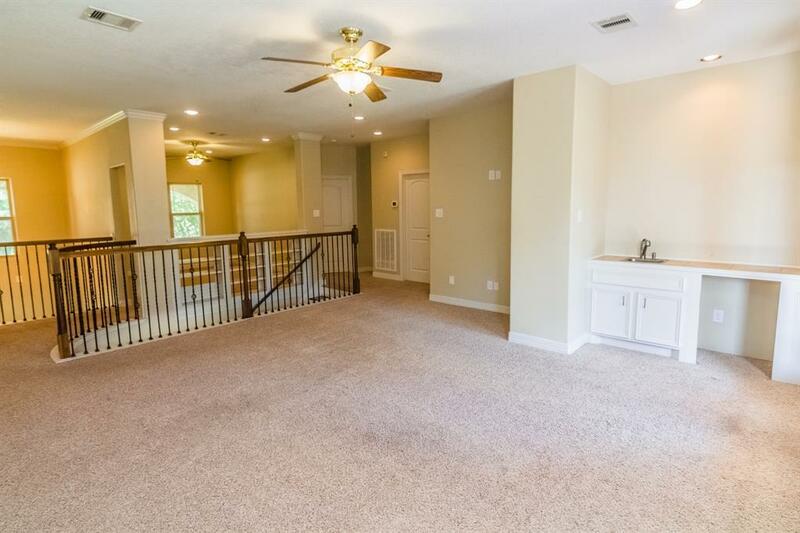 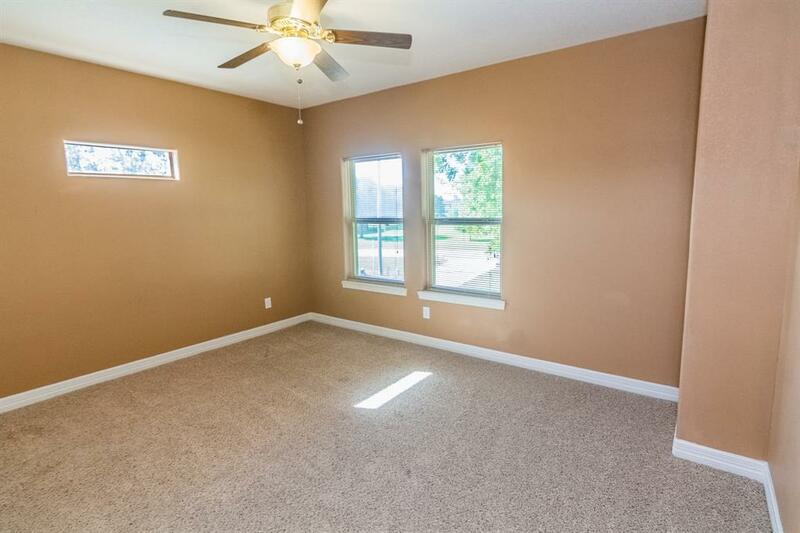 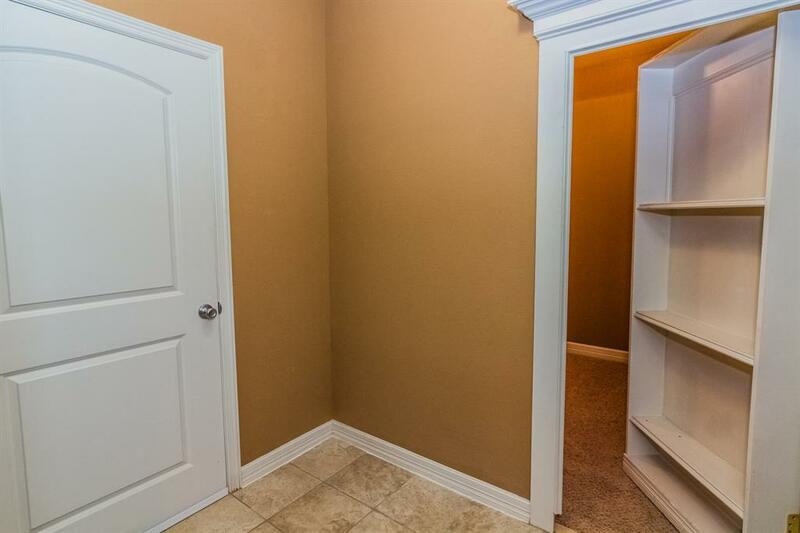 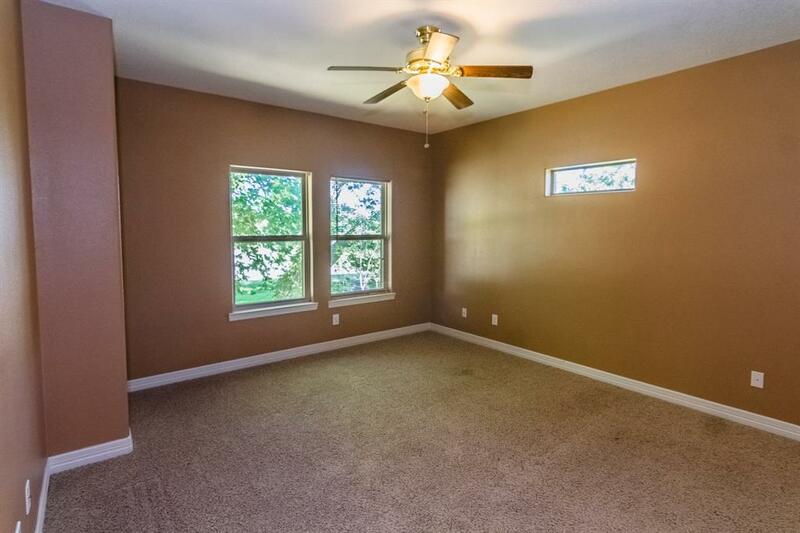 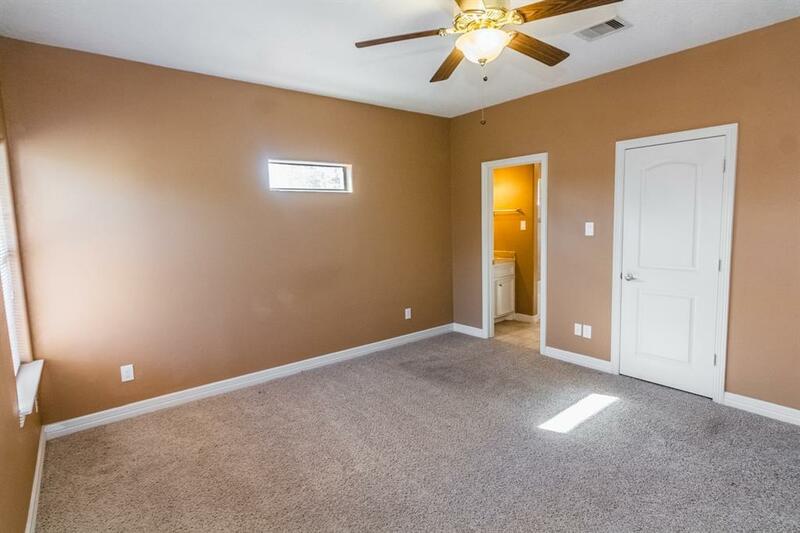 Upstairs you will find all secondary bedrooms, game room AND a bonus room. 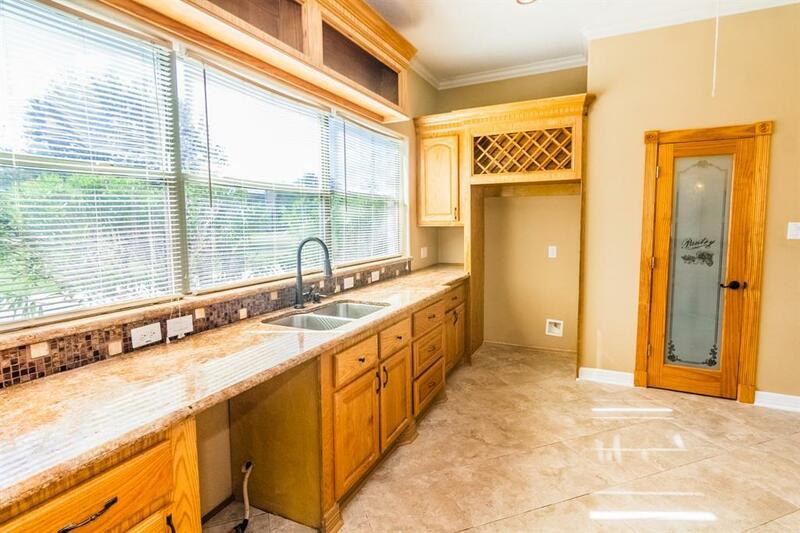 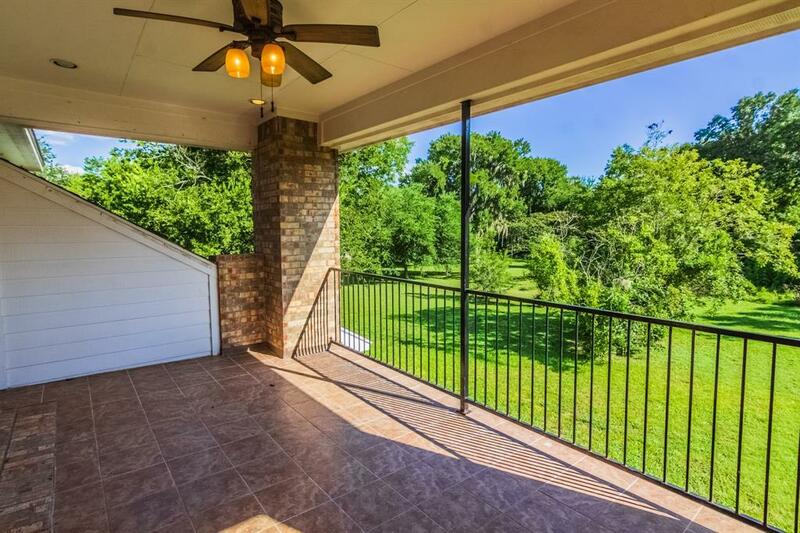 Other features include, whole home vacuum system, In law suite, gas hub on patio with ceiling fans, very private. 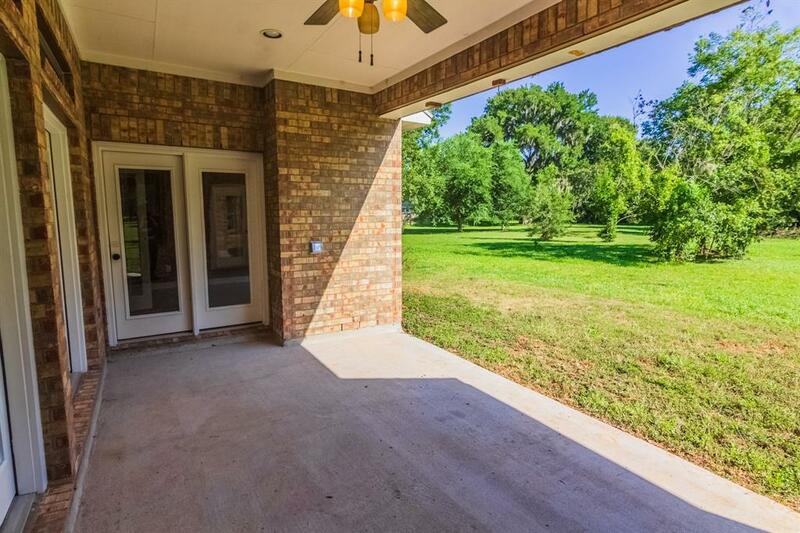 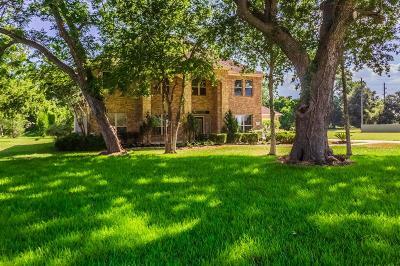 Built on approx 1 acre lot the possibilities are endless for creating your perfect backyard space. 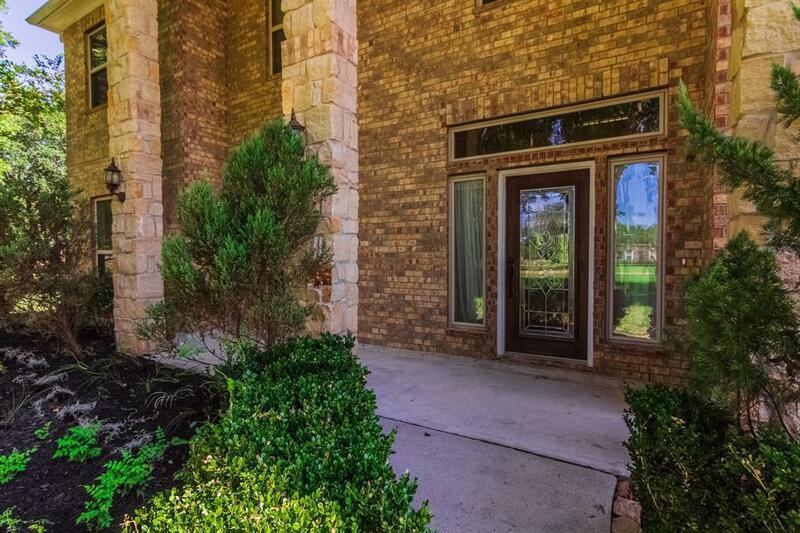 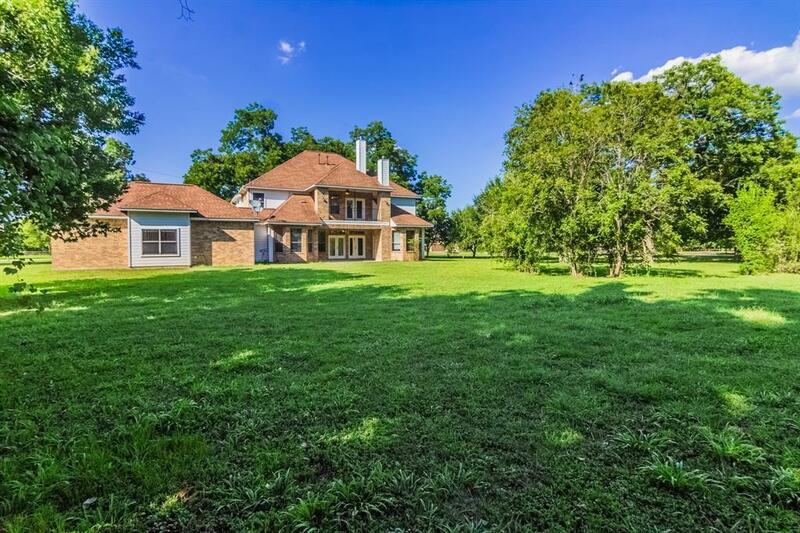 See this home today, the golf course will be calling your name as the milder weather of fall/winter rolls in!